Megan doesn't speak. She hasn't spoken in months. So a few months ago Amber, and later on Lauren, read Far From You by Tess Sharpe and both loved that book so much it was pretty much all I heard about from them for at least a week. An LGBT mystery/thriller featuring two female main characters and a compelling, heartbreaking love story, Far From You quickly became one of my favourite reads of the year. 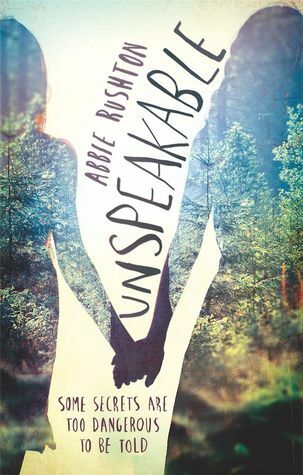 I’m mentioning it because almost straight away Unspeakable is a very similar story – there are LGBT characters, a relationship between two teenage girls, and a murder mystery. Unfortunately though that’s where the similarities end. This isn’t a bad book but it’s just not very compelling; the main love story between Megan and Jasmine is at times sweet but never anything more. Except possibly a little on the boring side. The reason, I think, I feel this way about them is because their relationship escalates at a very fast pace – they jump from strangers to friends to a relationship in a very short amount of time and there isn’t enough foundation there for the deep feelings they seem to have for each other to be believable. I found myself more interested in the relationship between Megan and Luke (I am like only 60% sure that is his name but let’s just roll with it) because out of the two relationships, it was the latter that was complicated and messy and ultimately far more interesting to read about. In addition the characters are kind of…bland? I really liked the idea of a character who had been traumatised so badly that she couldn’t speak, and in that aspect Megan is very sympathetic. Her struggle to speak while fighting with her instincts not to made me were not only one of the most interesting parts of the book but also the best written. Luke is also an interesting character, if only because he remains sympathetic while simultaneously being menacing. I liked Megan’s mother too, and their messy relationship was great. But Jasmine…eh. I don’t know, she just feels too Manic Pixie Dream Girl like to be enjoyable, and her entire personality seems to be quirk upon quirk. She also does get relegated at times to the ‘helpless girl as a device to forward the plot’ a lot. I really did want more from the mystery aspect as I feel like it was wrapped up far too neatly. The story builds to the final reveal and it’s kind of underwhelming. I wanted tension and conflict and what I got instead what something that fell short of that. All in all this was an okay, sometimes interesting book that because of the reasons above I finished with no real feelings other than indifference. I just loved Far from You. If I see this one in the library I’ll give it a try but it doesn’t sound all that. Yep, I completely agree! I’M SO GLAD I FOUND THIS REVIEW. I read this last week and my review will go up at the end of next week. 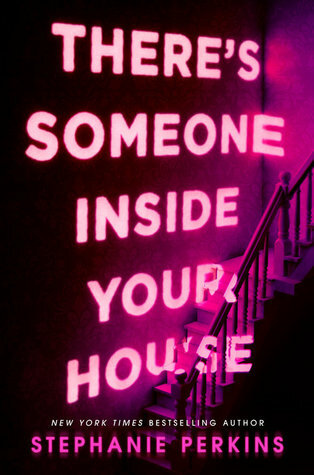 I really really wanted to love this book, and I did see a lot of similarities between it and Far From You, but Far From You was just….. so much better. The romance wasn’t great, and I felt like the ending was super underwhelming as well, I actually found it all a bit absurd and implausible. I was so disappointed with this book. ): I did think the relationship between Megan and Luke was pretty interesting too! But the ending just ruined everything for me, I think.